self-catering Scandinavian pine log cabins set in 4.5 acres of woodland, gardens and well-stocked private fishing lakes in the heart of the Suffolk countryside, 12 miles from Bury St Edmunds. Every lodge offers space, seclusion and privacy in a woodland setting, with each lodge uniquely positioned around one of our three fishing lakes. 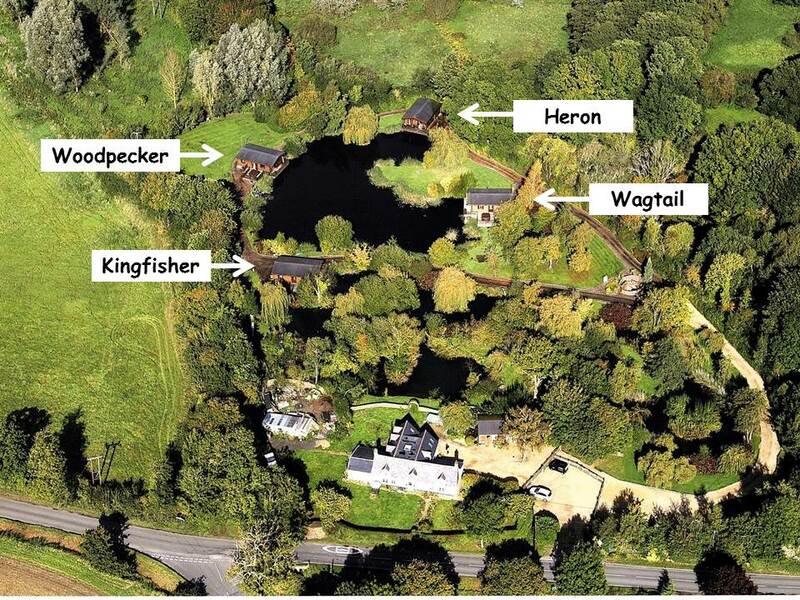 The lodges; Heron, Woodpecker, Kingfisher and Wagtail, are all identical internally and externally in terms of their fixtures, fittings, furnishings and equipment. The only difference is their position around the lakes and thus their aspects. They are all the same price. Kingfisher Lodge sits away from the main lake and overlooks the smaller Kingfisher Lake, it is the most secluded of all the lodges particularly when the foliage is in full bloom and is preferred by those who want more privacy (very popular with honeymoon couples!) In the winter, when the leaves have fallen the main house is visible, but not intrusive. Woodpecker Lodge faces East so has sunshine on the veranda in the morning and early afternoon, and on the hot-tub side of the veranda in the afternoon. The back of the lodge faces out over open fields towards Langham Church and Hall in the distance. Deer can sometimes be seen in these fields. It is a good choice if you are coming here for fishing. Heron Lodge has the more Southerly veranda and so has sunshine at the front of the lodge (where the table and chairs are) from late morning to evening. Heron Lodge backs into the tress so the bedrooms are a little darker than the others but as it sits at the top of the lake it enjoys views of the whole site. It is a good choice if you are coming here for fishing. 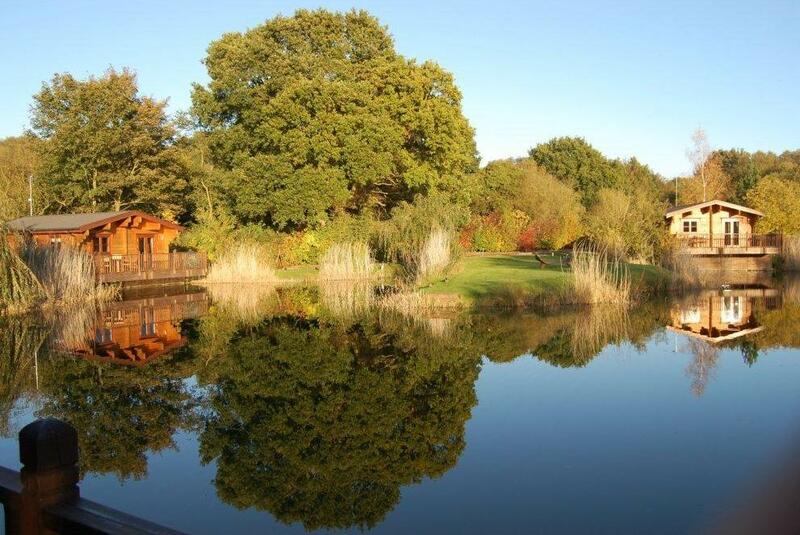 Wagtail Lodge is situated in an elevated position overlooking the main fishing lake with outstanding views of the open countryside where you can take full advantage of the evening sunset. It is nearest to the guest car park so is often preferred by those with mobility issues. The beautifully landscaped grounds are home to an array of wildlife including; Kingfishers, Woodpeckers, Barn Owls, Stoats, Water Voles and various resident waterfowl. 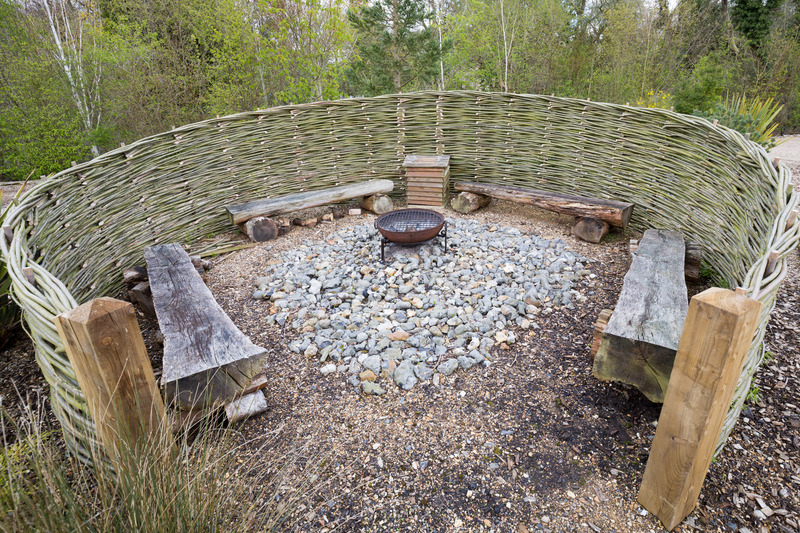 In the evening, why not light a fire in our communal fire pit, particularly popular with whole-site bookings, and enjoy toasting marshmallows over the Indian fire bowl whilst watching a beautiful Suffolk sunset with a glass of wine and family or friends? Subscribe to Mailing List and stay up to date with Badwell Ash Holiday Lodges!